In some circumstances, you may wish to define a section with a circular or non-circular geometry cut out from another shape. It is important to note that cutouts must be completely within another shape. This is because cutouts represent negative geometries. It does not make sense to have negative geometries which are not within positive geometries. 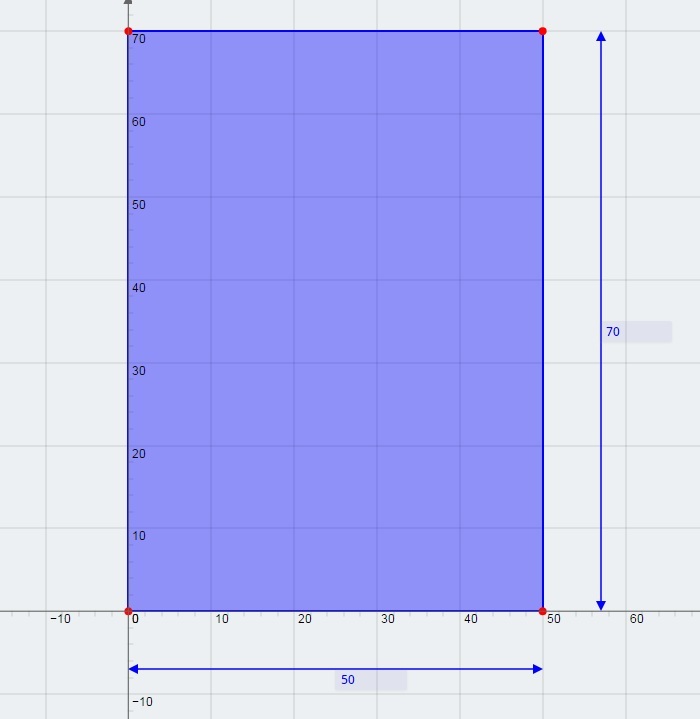 1) Add a rectangular shape and resize the width to 50 mm and the height to 70 mm. 2) Make sure the 'Clear Others' checkbox is unticked. 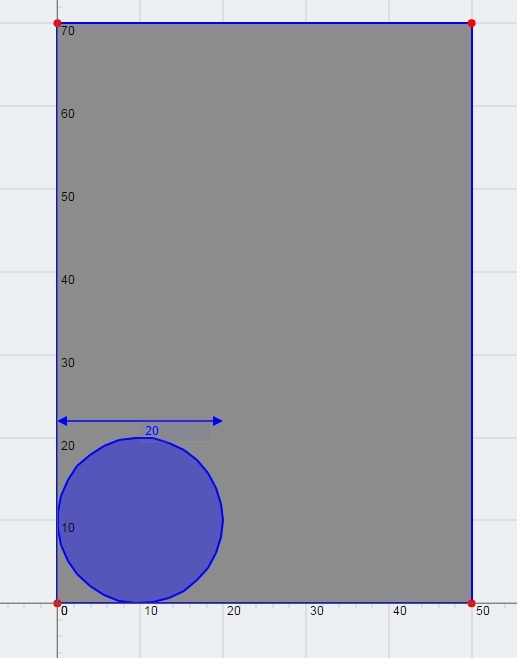 3) Add a circular shape and resize the diameter to 20 mm. 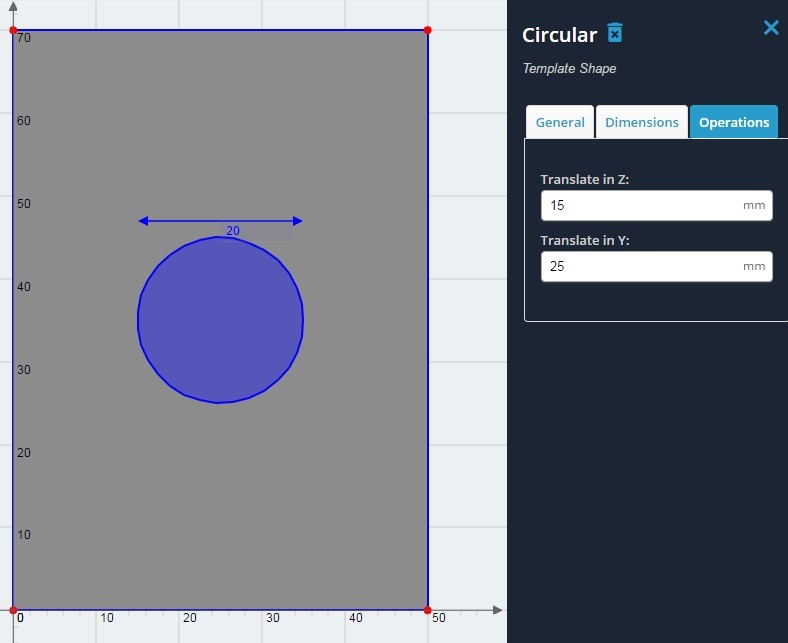 4) Translate the circle by 15 mm in the Z axis direction, and 25 mm in the Y axis direction so that it sits in the center. 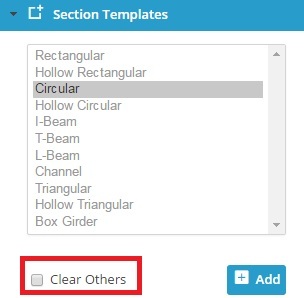 5) Turn the circle into a hole by clicking the 'General' tab when selecting the circular shape. Tick the checkbox for 'Cutout'. 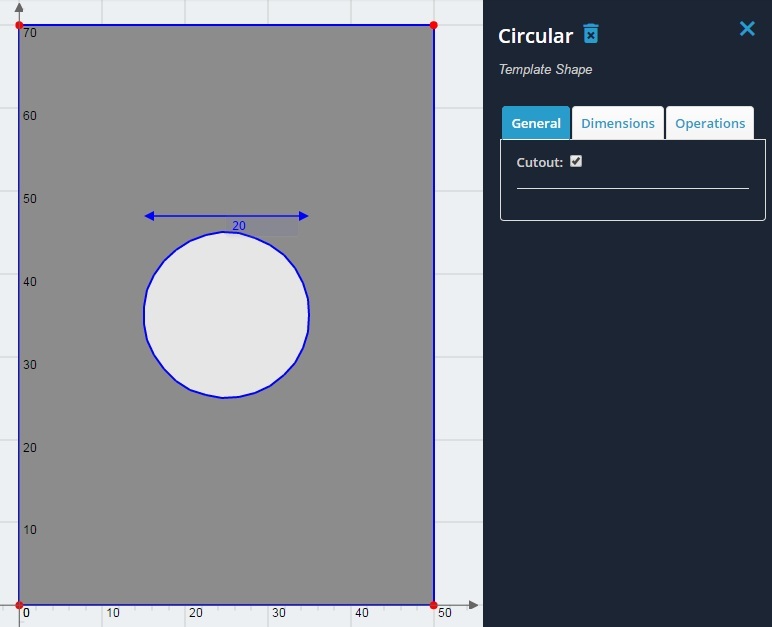 The circle is now a hole, and the section can be solved by clicking 'Calculate' as normal. Compare the results to when there is no hole present.